When you try to find app that take full screen shot of full webpages,if you want to edit them directly in browser so there are very few apps that can help you. I found this free app very useful named Fireshot. 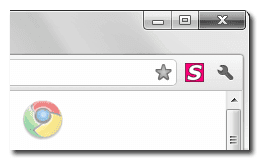 Fireshot is a browser add-on work with Google Chrome,Internet explore and also in Firefox. 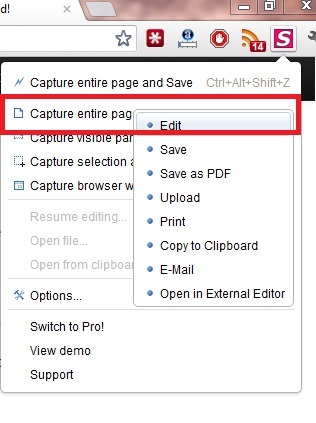 Fireshot is a user friendly tool that help you to take screenshot of webpages and edit them. 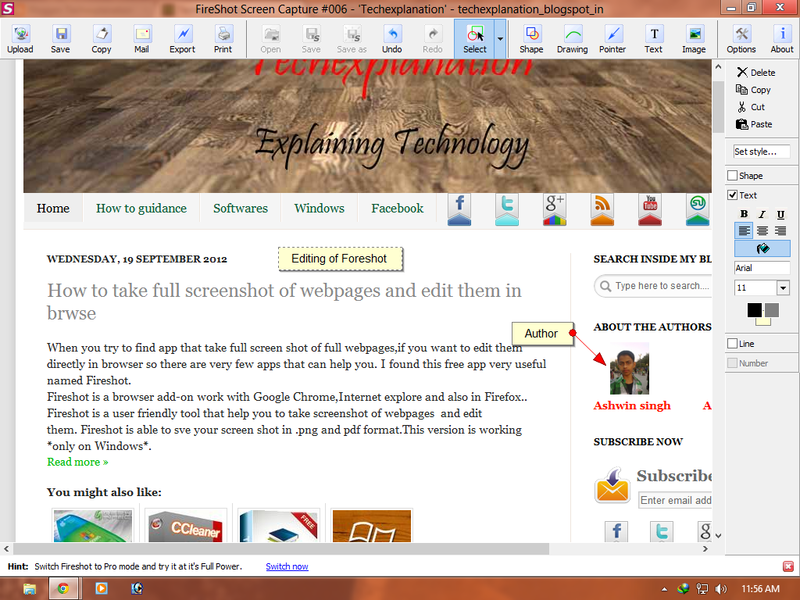 Fireshot is able to sve your screen shot in .png and pdf format.This version is working *only on Windows*.The official site of Fireshot is getfireshot.com. 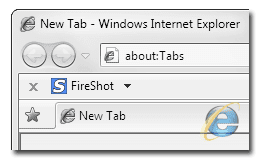 Add Fireshot in your browser. Chrome go to the Chrome web store and get it. It will look like this after adding on Chrome. Editing of Fireshot is very good.You can add shapes on screenshot and draw on it. 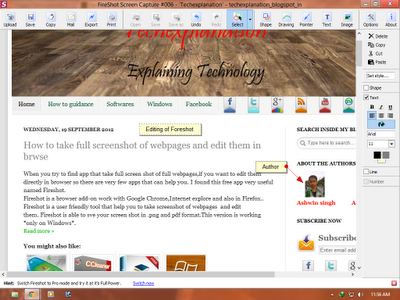 You can also add pointers on screenshot and write any text massage on the screenshot. 2. 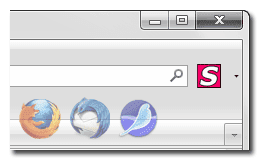 Firefox go to the Firefox addons an get it. It will look like this in firefox. working method is as same as Chrome. 3. Internet Explore go to the link and add it on Internet Explorer. It will look like this in Internet Explorer. Working method is same as Chrome.